Budweiser is a 5% abv pale lager introduced in 1876 by Adolphus Busch and has become one of the best selling beers in the United States. It is made with up to 30% rice in addition to hops and barley malt. 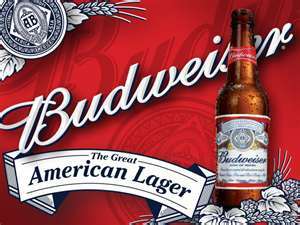 Budweiser is produced in various breweries located around the United States and the rest of the world. It is a filtered beer available in draught and packaged forms. Lower strength versions are distributed in regions with restrictive alcohol laws.